Criterion Barrels Inc. (CBI) has long maintained an internal policy of supporting top shooters throughout the firearms industry by offering a free barrel to any shooter who sets or ties a national record with a Criterion product. Over the last few years a number of F-Class and vintage military competitors have benefitted from this program, receiving a complimentary barrel of their choice after setting a new national record in their respective shooting discipline. Overall awareness of this policy has been somewhat limited, so CBI is taking additional steps to share information regarding this free barrel program with the general public. 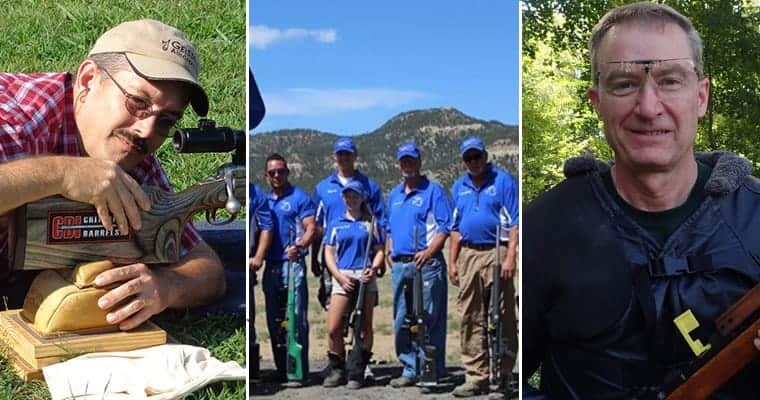 Past record breaking shooters have included David Mark Honeycutt (with a 300 yard F-Class score of 600-50X), Samantha Huhtala (four records set in 600 yard F/TR competition), and Victor Betzold (M1 Carbine with a score of 375-6X). Criterion plans to eventually expand this program to include winners of national, regional, and local rifle matches. Potential earned rewards by match winners may include equipment sponsorships, barrel discounts, and free apparel items. If you or someone you know has set a pending national record with their Criterion barrel (in a discipline that has been in existence for over one year), please have the shooter contact Criterion Barrels Inc. by phone at (262) 628-8749 or via email at contact@criterionbarrels.com to place their order. Once the shooter’s information is verified and the record is confirmed by the governing body of their appropriate shooting discipline, the order will be processed and shipped to the new record holder. This entry was posted in Articles, National Records, News, Sponsored Shooters & Matches. Bookmark the permalink.